This entry was posted in Consulting, Training and tagged Consulting, Courses, data visualization, infographics, training by 5wgraphicsblog. Bookmark the permalink. Would you be running this course again in 2016? Appreciate if you could let me know as I’m keen to sign up if there is. Thanks! Thank you for getting in touch. 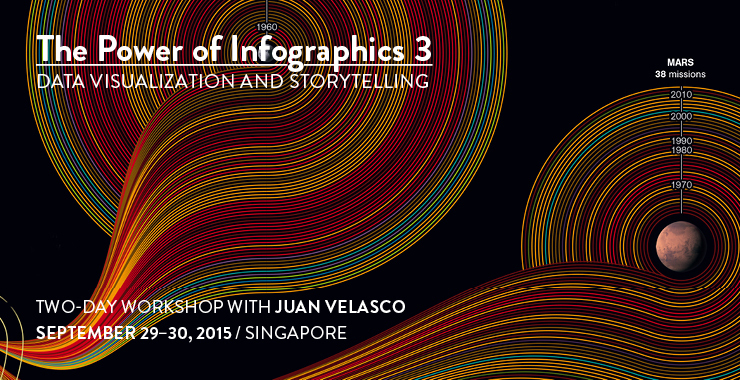 It’s very likely I’ll be back in Singapore at the end of January with two workshops. If you email me to jvelasco@5wgraphics.com I can send you more information.